Orlando, FL (OPENPRESS) September 3, 2011 -- FlightScope announces its first ever Science of Golf Instruction and Club Fitting convention. 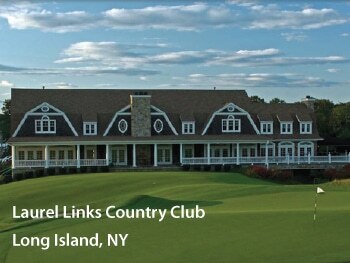 It will be held at the prestigious Laurel Links Country Club in Long Island, New York, over two days on Wednesday 12th and Thursday 13th of October 2011. The convention is a perfect opportunity for all golf pros, teachers, club fitters and other golf industry professionals to learn more about FlightScope 3D technology in golf teaching and club fitting. Speakers at the convention will include Henri Johnson, founder and inventor of FlightScope, Dr. Steven Nesbit, Professor of Engineering at Lafayette College, Dr. Aaron Zick, Stanford University Chemical Engineer Zick Technologies, Michael Jacobs PGA, Steve Haggerty PGA and David Nel, Application Specialist at FlightScope. together with other FlightScope topics. FlightScope users can bring along their radars for calibration on the range and all attendees will have the opportunity to play the Laurel Links golf course on the last day. PGA professionals will earn 16 MSR hours for attending. For more information and to register visit click here.